Last week, a range of experts gave their views on what should be the energy and climate priorities in forthcoming Brexit negotiations. 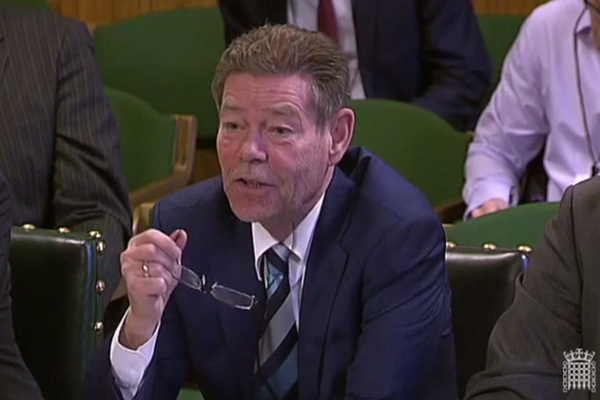 Among those presenting to the Business, Energy and Industrial Strategy (BEIS) select committee was Energy Saving Trust chief executive, Philip Sellwood (pictured), who laid out the risks and opportunities around energy efficiency and renewables. In the background to these considerations is an overarching issue: where historically, the UK has tended to exceed EU energy and climate change policy requirements easily, recent UK sustainable energy policy rollbacks such as the end of the Green Deal and reduced support for renewable energy mean that this is no longer the case. This makes it even more imperative to get things right as Britain's relationship with Europe is redefined. There is plenty from current European directives worth keeping. First and foremost, the UK must look to take forward proposals in the European Commission's recent Winter Package, which offers a number of forward-thinking recommendations that would help the UK remain a leader in the low carbon field, if incorporated into policy. It represents the next step in energy policy to 2030, and based on the principle of ‘Energy Efficiency First’, the idea that “the cheapest energy, the cleanest energy, the most secure energy is the energy that is not used at all”. To back these words up, a 30 per cent efficiency target for 2030 is introduced, as well as explicitly recognising the right for community energy groups and individuals to feed any excess energy they produce back into the grid and be paid for it at market value. Both things we'd strongly agree with. EU product standards have been a particular success story, albeit one not particularity widely known about. Eco design has been effectively implemented and has achieved significant savings – for every £1 spent there's £3.80 of benefit, with households saving €490 a year on their energy bills. As product standards expert Stewart Muir pointed out in a previous blog, there is little sense in turning our backs on this from either an energy-saving or business perspective. Maintaining and building on these standards should be at the forefront of thinking in negotiations. Distributed energy: a business case or a bigger case? Also on the 'to keep' list should be Energy Performance Certificates (EPCs) – a key tool in engaging householders in their energy use – and new building standards. On the latter, European regulation requiring near-zero energy standards by the end of 2020 is the only green policy driver left for new build in the UK. There's no doubt that there are plenty of risks ahead. The EU has been an important driver of UK energy and climate ambition over the years, so there's not been much to previously suggest whether the country can bring the same levels of aspiration while standing alone. There are also question marks over how initiatives will be funded – especially if the UK continues to pursue the 'hard Brexit' route. Horizon 2020 has provided significant support for energy research, with the UK being one of the biggest recipients, getting around 15% of this funding stream. Non-EU countries can be associate members of the scheme, but this involves being part of the European Free Trade Agreement (EFTA) – something that hard Brexit would presumably rule out. While the government has made funding assurances up to 2020, things need clarifying beyond then. Meanwhile, the European Regional Development Fund (ERDF) has provided significant support for energy efficiency-focused projects in the UK such as the Arbed scheme, targeted at specific areas of Wales. The same need for clarification applies. Beyond the financial considerations, there are also issues around Britain's access to, and participation in, cross-continental knowledge sharing. This is important in ensuring that the country can remain competitive in the growing market for low-carbon goods and services. But, looking at things less pessimistically, far from Brexit being about throwing in the towel it offers a chance to push things further than they've gone before. The UK has made some good progress in using less energy at home and offering householders greener, local generation options over the years and there are still plenty of opportunities out there. The structure is there, if supported appropriately. The Climate Change Act, the Committee on Climate Change (CCC) and Carbon Budgets constitute a world-leading framework for climate change governance. In the absence of EU directives, it should be reinforced to ensure that new policies are effective and sufficient to meet our international obligations to tackle climate change and to provide long term confidence for investors. For the UK to remain among the world's sustainability front-runners, there is much to consider as leaders prepare to enter into these pivotal discussions. But it's far from an impossible dream. Share your thoughts with us in the comments below, or tweet us at @EnergySvgTrust.